Former Governor of Massachusetts William F. Weld posed for a photograph in his office in New York on May 19. In normal years, the Libertarian Party convention might not attract much attention. But at its gathering in Orlando on Sunday, the party ensured it would be relevant in November by nominating two serious candidates, including former Massachusetts governor Bill Weld, who accepted the vice-presidential nod. Third-party and independent candidates always face an uphill fight, but a unique circumstance this year means that Weld and Libertarian presidential nominee Gary Johnson of New Mexico deserve real consideration. The circumstance, of course, is Donald Trump. The presumptive Republican nominee is the least qualified major-party candidate for president in generations. And while Trump hasn’t yet selected a running mate, any Republican who would choose to run alongside him can safely be assumed to have very poor judgment. Johnson and Weld both served as Republican governors, giving them significantly more elective experience than Trump. 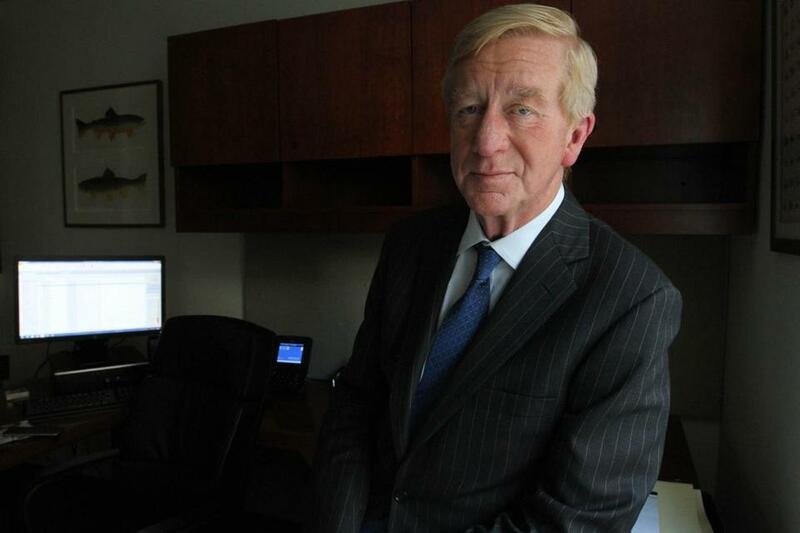 Weld’s record in Massachusetts may not be spotless, but he appears statesman-like in the context of the Republican campaign thus far. As for the Libertarian Party itself, its platform combines some fringey ideas, including total drug legalization, with a reasonable emphasis on limiting government power. For disillusioned Republicans, then, the Libertarian Party and candidates represent credible alternatives to Trump’s GOP. It’s quite a role reversal: Usually one of the main impediments to third-party offerings is that voters just can’t imagine those candidates actually serving as president. Now it’s a major party that seems to have nominated a protest candidate, while a minor party has nominated candidates capable of governing. If the Libertarian ticket actually gains traction in the polls, Johnson and Weld will undoubtedly face accusations that they’re acting as spoilers, taking votes away from Trump and handing the election to presumptive Democratic nominee Hillary Clinton. The ghosts of Ross Perot and Ralph Nader, 1992 and 2000 independent candidates who’ve been accused of acting as spoilers, haunt both parties. Weld’s personal ties to the Clintons may amplify the suspicion that he’s trying to help the Democrats. But the notion that any candidates are owed any voters has always been a fallacy. Yes, it’s hard for third-party candidates to win, and voters are free to factor such political logistics into their voting decisions if they choose. But at least now voters have another real option to consider in November.